At Burns & McDonnell, we believe the United States should be a place where kids grow up to engineer a revolutionary water filtration system or design a building with zero environmental impact. We believe in empowering the next generation of STEM professionals to do more than just use apps, but to design them. We believe it’s our responsibility to help these kids change the world. Burns & McDonnell is a family of companies made up of more than 6,000 engineers, architects, construction professionals, scientists, consultants and entrepreneurs with offices throughout the world. We strive to create amazing success for our clients and amazing careers for our employee-owners. Burns & McDonnell is 100 percent employee-owned and is proud to be on Fortune’s 2018 list of 100 Best Companies to Work For. The drive to strengthen communities is the heartbeat of what we do, in our work and with the Burns & McDonnell Foundation. Over the past few years, we’ve invested more than $6 million in grant programs that support STEM education. Why do we care so much about this cause? Every day, our employee-owners rely on STEM skills, passion and a lifelong curiosity to change the world. The opportunity to light the same spark and build the same foundation in kids? Well, that’s pretty amazing. Kids who love STEM have a brighter future. STEM jobs are plentiful. In the United States, an estimated 2.4 million job openings in STEM will go unfilled by 2025. STEM demand is growing. Between 2017 and 2027, the number of STEM jobs will grow 13 percent, compared to 9 percent for non-STEM jobs. STEM jobs pay well. The median earnings per hour for STEM jobs are more than double the earnings for non-STEM jobs. It’s a special opportunity to inspire a student to pursue a STEM career. Do you remember when you discovered the passion for the work you do today? Perhaps it was an exceptional teacher, an inspiring book or a relative in the same industry. We hope, someday, that many students in the Kansas City area can point to Burns & McDonnell Battle of the Brains as their spark. For the employee-owners of Burns & McDonnell and Science City, it’s in our DNA to inspire a passion for STEM in the next generation. Our vision and mission is to encourage these future leaders to push beyond their expectations — to dream big, plan smart and take initiative. Our organizations have long prioritized STEM education as a pathway to a better world — for our children and for us all. As part of a multiyear, multimillion-dollar commitment, our partnership is official: Science City Powered by Burns & McDonnell. Through these efforts, we share STEM professionals, insights and unwavering efforts to support STEM education in Kansas City. New initiatives and programming are continuously being developed and added, including a commitment to additional Battle of the Brains cycles. 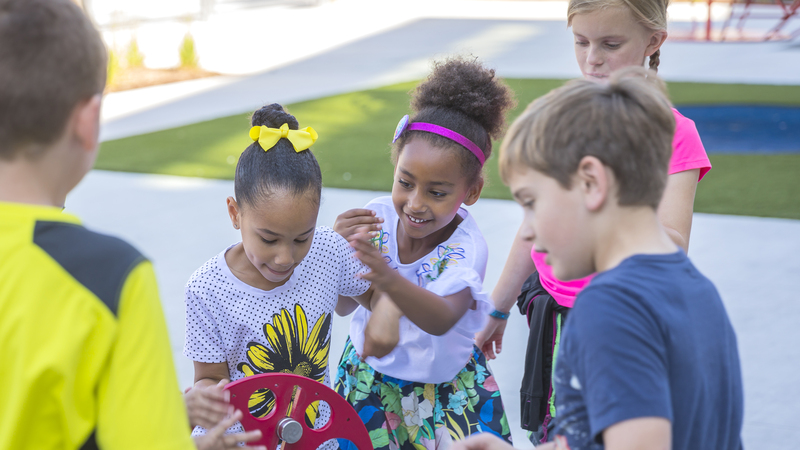 This partnership has made a difference at Science City, helping to boost attendance by 120 percent since 2011 and encouraging thousands of visitors each year to explore STEM topics. Students and teachers are sharing rave reviews about Science City as a place where learning and fun happen in equal measure.